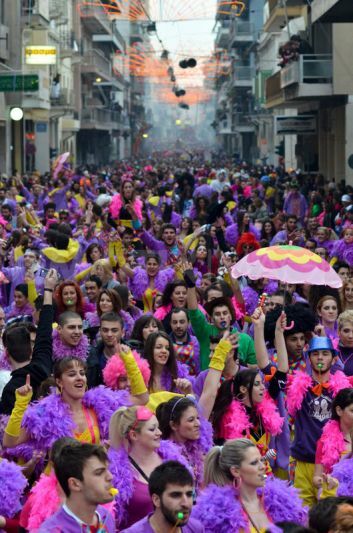 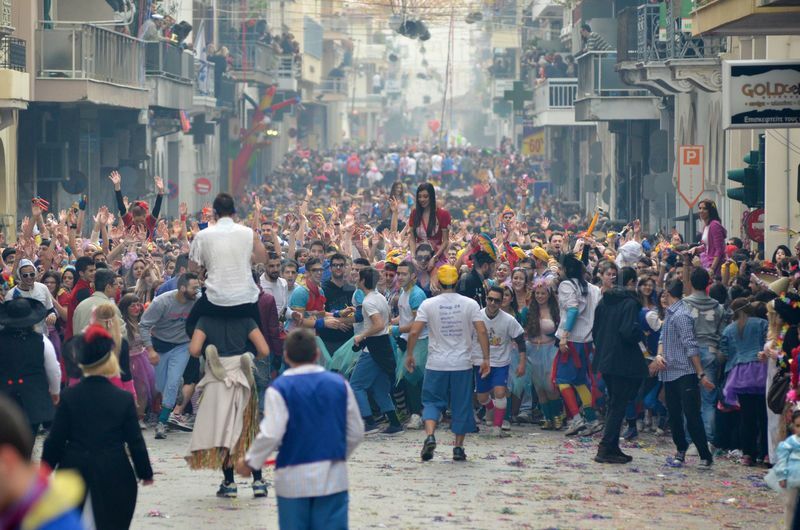 Thousands of people of all ages took place at the extravagant parade of floats and groups and ritual burning of the king of the carnival in Patras. 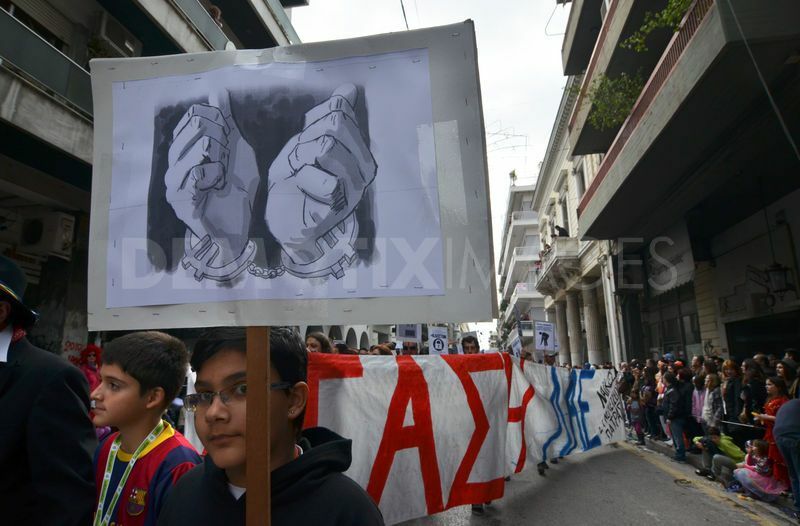 Apart from political satire, there were also protests concerning austerity measures. Carnival groups of volunteers who made their uniforms, dresses and carnival floats at their own expense. Carnival float satirizes the impoverishment and selling off of the country. 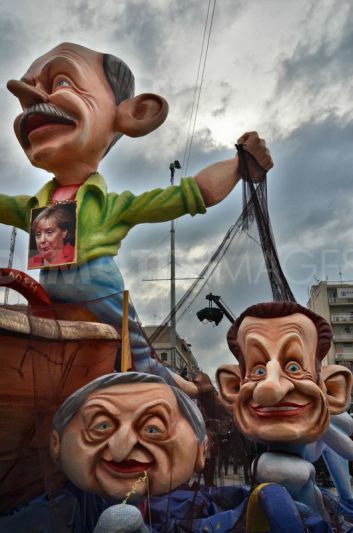 Carnival float satirizes former Prime Minister George Papandreou, German Chancellor Angela Merkel and also the French President Nicolas Sarkozy. 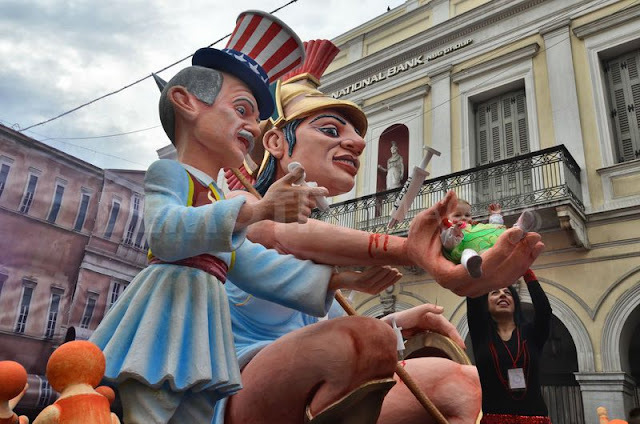 Greece is represented as a person addicted to drugs, while George Papandreou, wearing a hat with printed American flag, gives the injections. 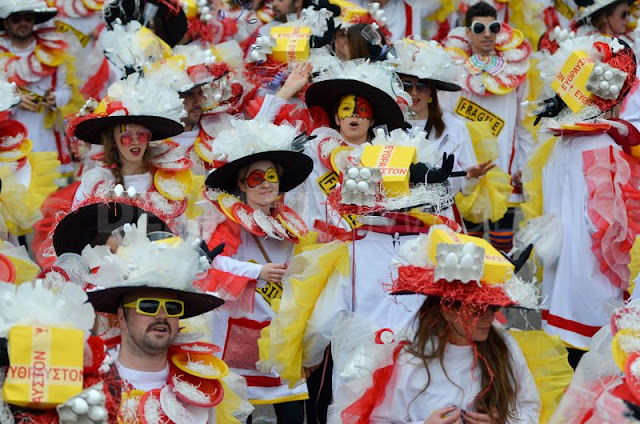 Carnival groups of volunteers, who made their uniforms, dresses and carnival floats at their own expense. 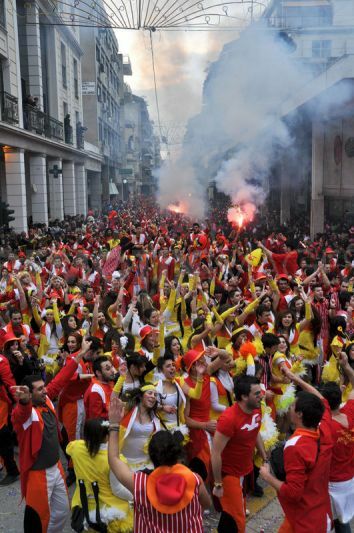 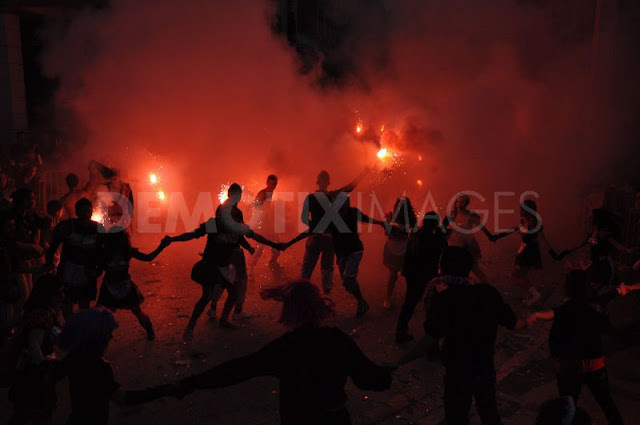 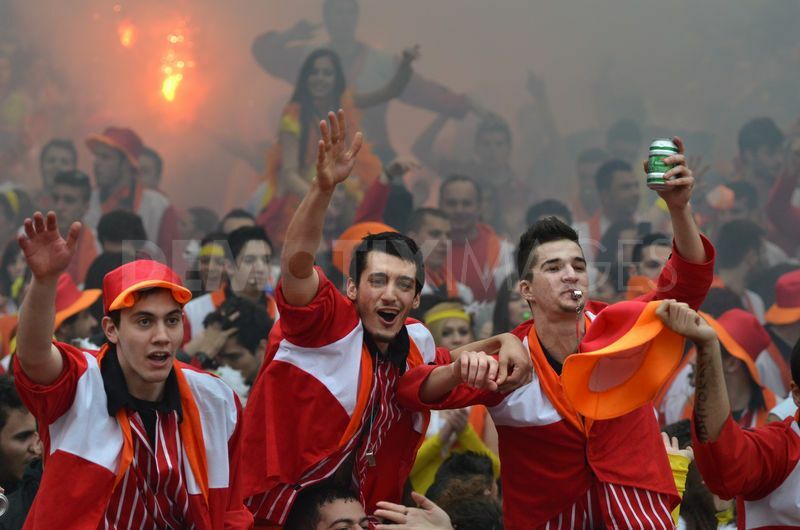 Carnival groups of volunteers, dance in the streets, and they lit flares and smoke bombs during the celebrations. 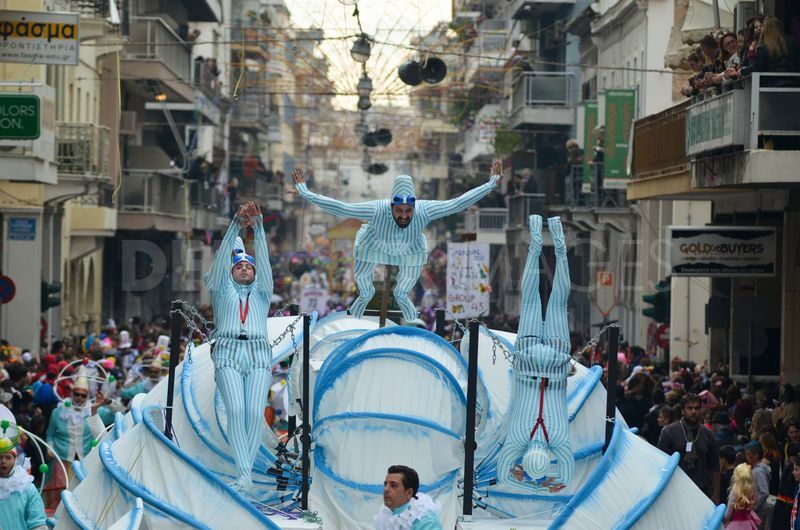 They make their uniforms, dresses and carnival floats at their own expense. 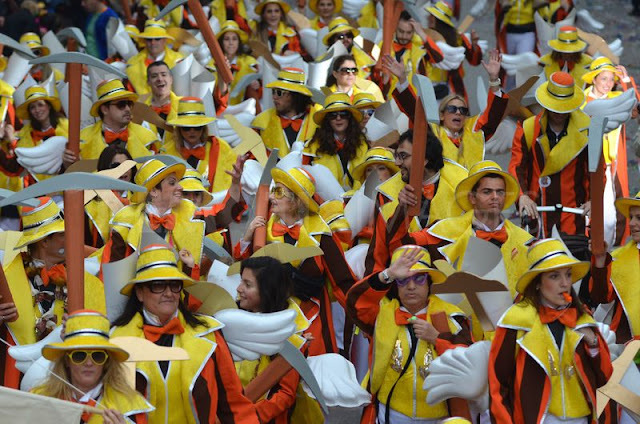 Carnival groups of volunteers, who made their uniforms, dresses and carnival floats at their own expense. 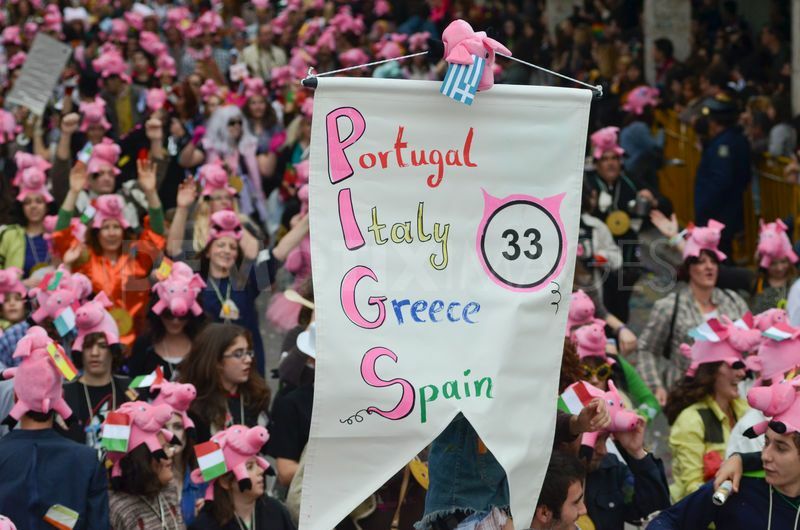 This groups satirizes the PIGS (Portugal, Ireland, Greece and Spain) in Europe. 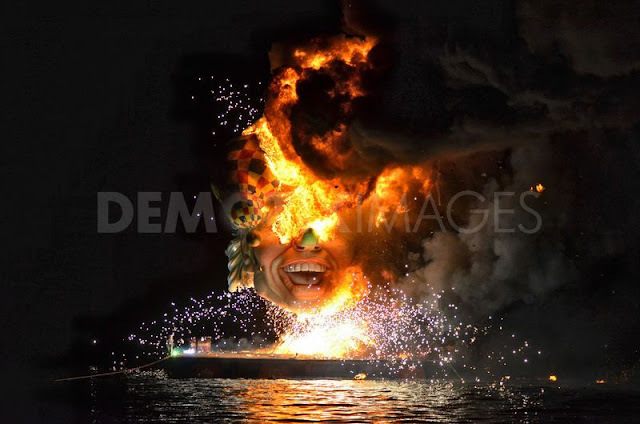 The burning of King Carnival in Patras harbor. 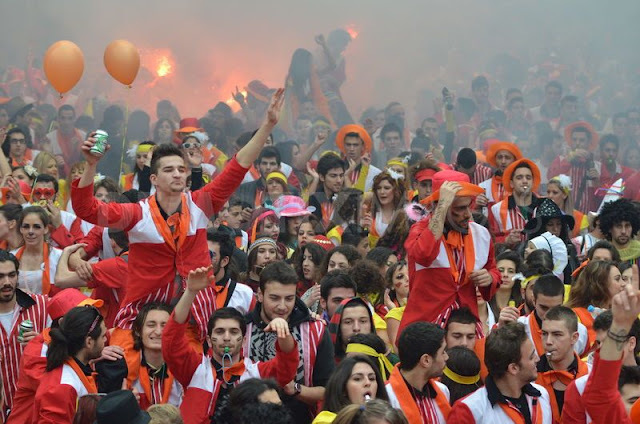 Carnival groups of volunteers, dance in the streets, and they lit flares and smoke bombs during the celebrations. Carnival groups of volunteers dance in the streets. 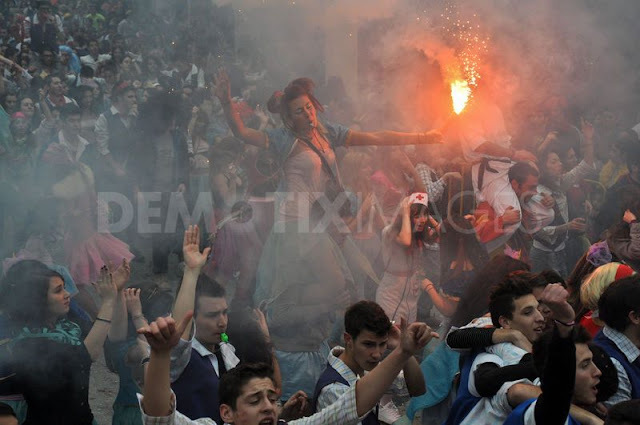 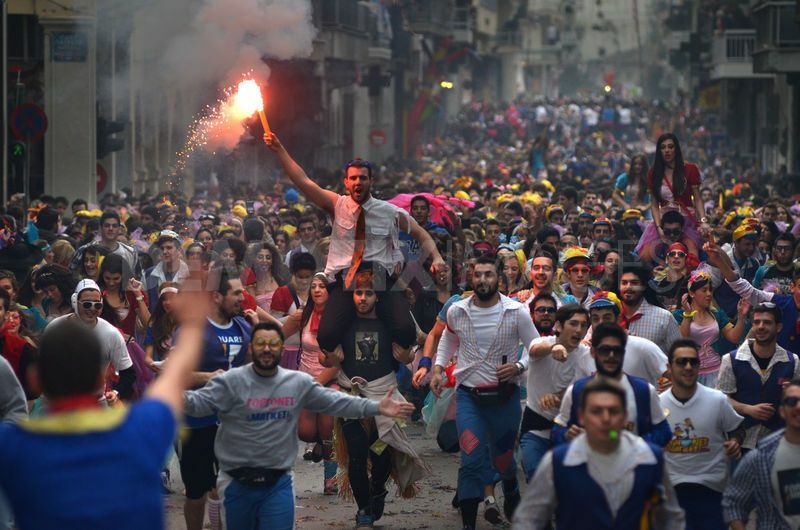 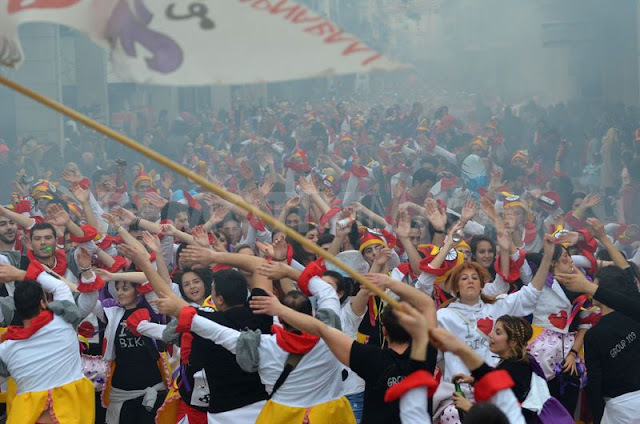 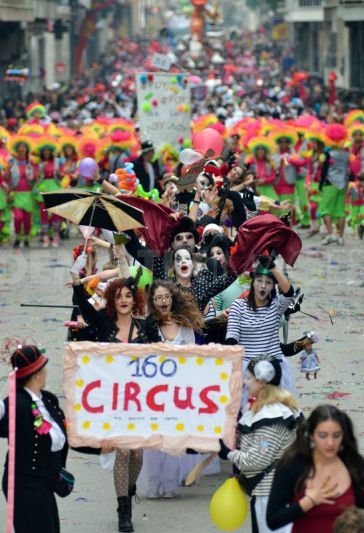 Thousands of people of all ages took place at the extravagant Sunday parade of floats and groups and finally the ritual burning of king carnival in Patras. Apart from political satire, there were also protests concerning austerity measures. A protest of about 50 people holding a banner that read 'People Resist' and pickets with slogans opposing to the euro, took place at the beginning. The big parade started just after this protest, and lasted from 14:30 until 19:30. 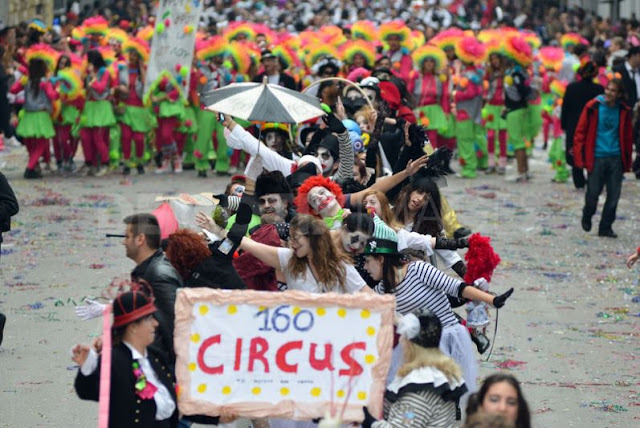 Carnival floats parade appeared first, with figures that sharply satirize former Prime Minister George Papandreou , Prime Minister Lucas Papademos, German Chancellor Angela Merkel and also the French President Nicolas Sarkozy. 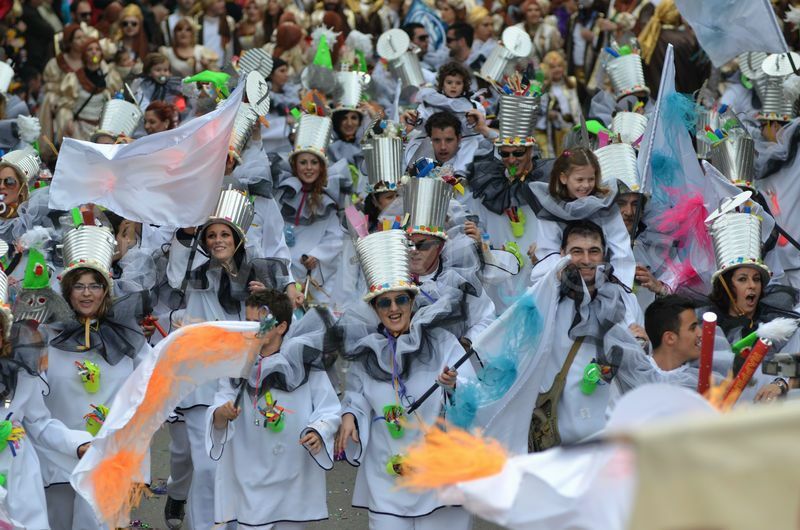 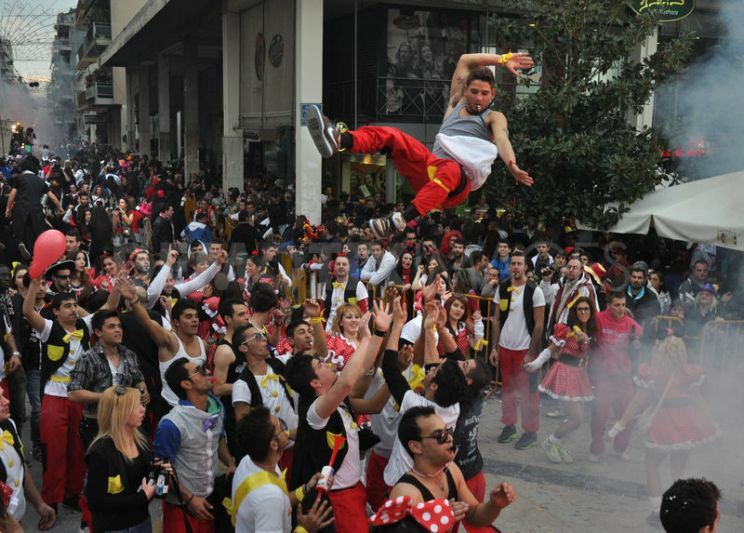 Thousands of Greek people took place at the parade of carnival groups, after the carnival floats parade, who despite financial problems, came across the country to celebrate the last weekend of Carnival. 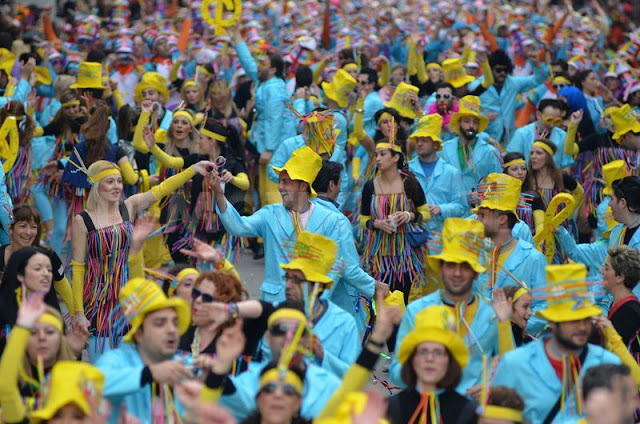 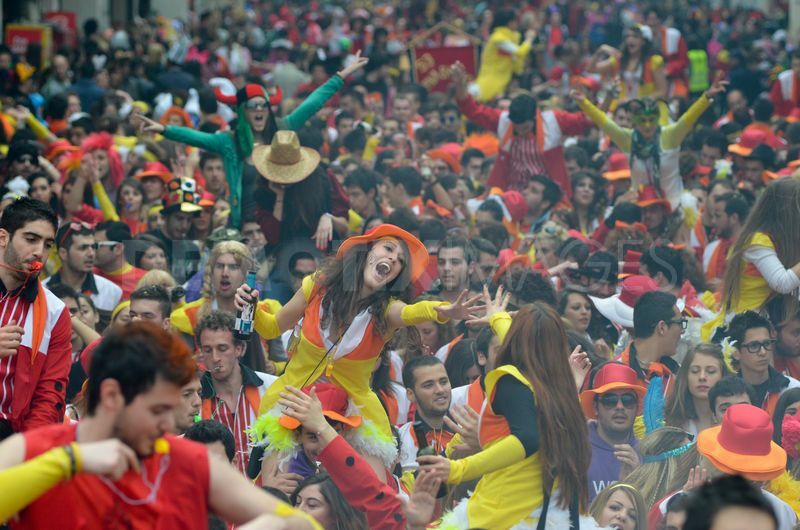 Carnival groups consist of members, who made their uniforms and dresses at their own expense. 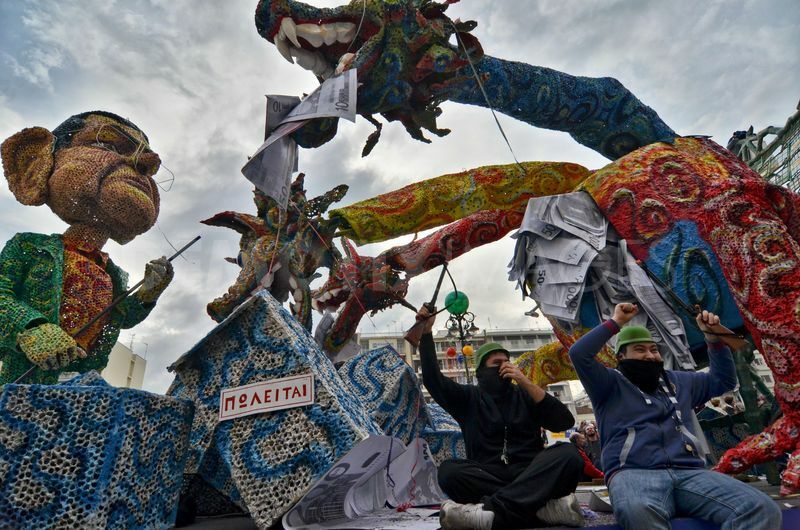 This year their issues mostly satirize the economic and political situation in Greece and Europe. 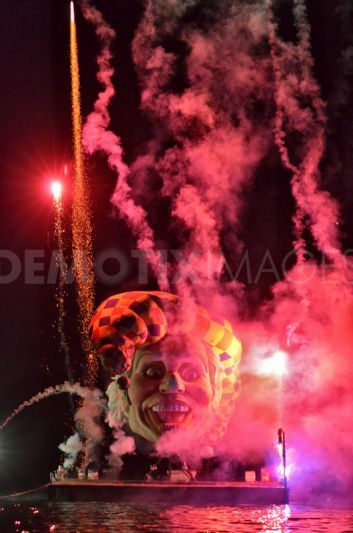 At 21:00 the king carnival was ritually burned at the harbor of Patras , within spectacular fireworks.